Located in the center of the pack of artists in The Fox Chase Frank Vincent DuMond is looking steadfastly forward, focused on the task at hand (i.e. catching the fox). Renown for both his art as well as his career as a gifted art instructor, DuMond was often at the center of things. He studied at the Art Students League in New York in the 1880s, after which he became an illustrator for New York publications such as New York Daily Graphic, Century, and Harper’s Weekly. 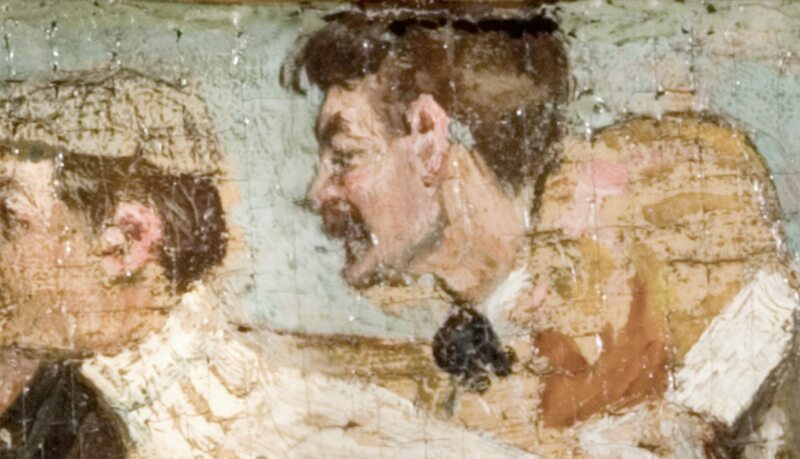 After additional study in Paris at the Académie Julian, DuMond accepted a teaching position at the Art Students League. A dedicated teacher, DuMond continued to commute to New York even after moving to Lyme, often catching the nighttime ferry from New London to get into the city in time for his classes. I have the pleasure of announcing that Mr. and Mrs. DuMond have decided that they wish to spend the summer in Lyme with you… They will come about the first of June and will probably stay until the first of October… The DuMonds will be a great acquisition to our colony and I assure that they improve on acquaintance. 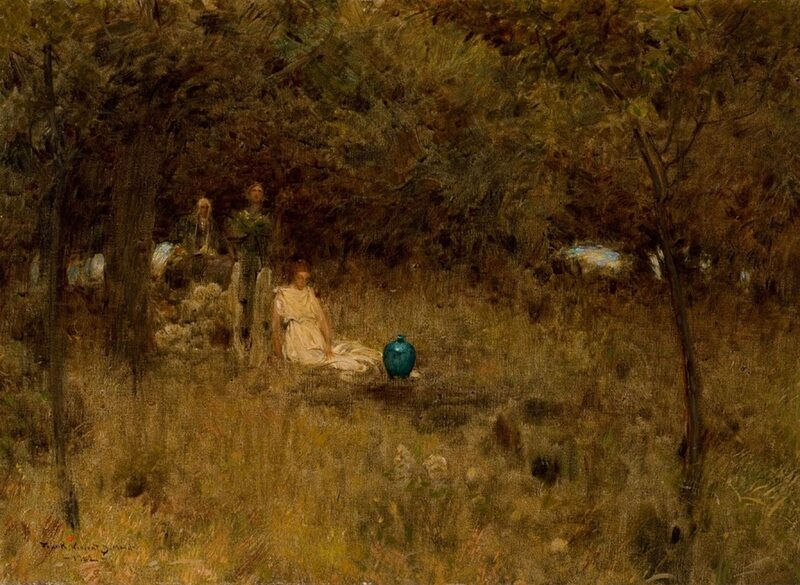 In the 1890s DuMond began teaching summer art classes, first in France, and later in New England and New York. During these summer sessions, the students would experience rigorous training and be expected to paint outdoors from sunrise to sunset (and painting both!) with drawing classes in between. And we must remember that imagination is founded upon the material—on blue sky and green trees, on mountains and rivers, on man, on everything! On the material. On Mother nature. 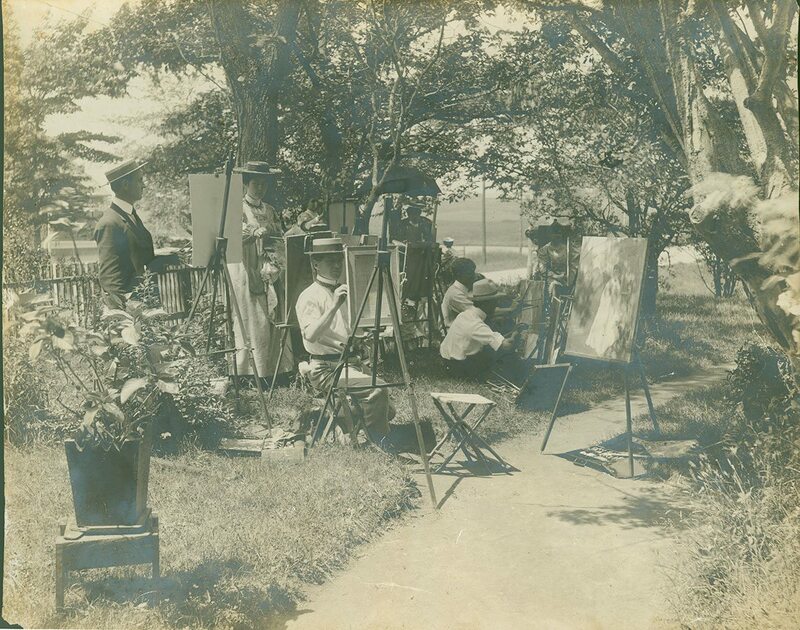 By 1906, the popularity of the art classes seemed to threaten the idyllic qualities that the Old Lyme artists found inviting, and the school was encouraged to move its summer sessions elsewhere. It moved to Woodstock, New York. During this same year, the DuMonds purchased an old Colonial farmhouse on Grassy Hill Road in Lyme with views of Long Island Sound a mere five miles away. This life in the country was both satisfying and productive for DuMond. After settling near the top of Grassy Hill, DuMond began to change his artistic style from an earlier darker tonalist technique associated with Ranger and his circle, to a lighter and brighter approach. 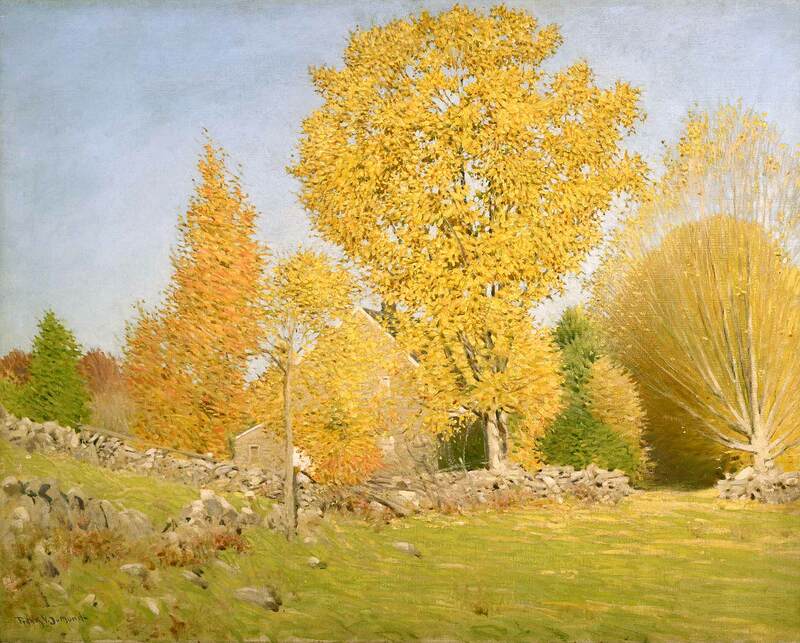 His somewhat modified blend of Impressionism was most likely influenced by the sunlit landscapes near his country home, literally across the road, as is the case in his painting Top of the Hill, Lyme (1906). I’m finishing a little picture which I think of sending to our annual Lyme show. It’s purely of the imagination and is that cherished lands where all is peace and beauty. We all seem to yearn for it and that I suppose is a very good reason for painting it. When not in Lyme, the DuMonds lived in the middle of the New York art world at the artist cooperative building on W. 67th Street in New York. However, DuMond told a New York reporter in 1907 about his fondness for Grassy Hill: “Every year I grow more deeply attached to my summer place and less inclined to leave it. All of us who are associated with the Lyme colony I think have the same feeling, and our summer term has every season a more and more elastic term.” Despite the school’s new location, DuMond continued to give private art lessons in Lyme, probably as late as 1915, and counted Ellen Axson Wilson (President Woodrow Wilson’s first wife) among his Old Lyme students.